President Obama and ex-President Clinton are inadvertently stumbling toward the intersection of two seemingly unrelated events. That combination of circumstances could blow the lid off a huge cover-up of America's biggest 20th-century terrorist attack. 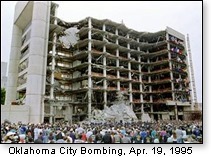 This past week marked the 15th anniversary of the bombing that killed 168 innocent Americans at the Alfred P. Murrah Federal Building in downtown Oklahoma City on April 19, 1995. Two terrorists were convicted in the attack — Timothy McVeigh, who was executed, and his accomplice Terry Nichols, who was sentenced for life to a super-maximum security prison in Colorado. That they were both guilty is beyond dispute. As of the latest report, however, the case was still "open" — arguably because there is a huge, thick file of evidence out there of a third terrorist who has not been caught and about whom the FBI has displayed a curious lack of curiosity. At the time of the investigation, however, then-President Bill Clinton blamed Newt Gingrich and Rush Limbaugh for supposedly inciting "angry white male" McVeigh to violence because of their "anti-government rhetoric." For Rush's answer to that Clintonian canard, I can do no better than refer you to his op-ed "Liberals and the violence card" — Wall Street Journal, April 23, 2010. Now, Mr. Clinton is putting on a "Play it again, Sam" performance by recalling the supposed "incitement" by "right-wing talk radio" and the Gingrich Congress in 1995, and comparing it to today's Tea Party activism. The former president (whose administration was an eight-year scandal-addiction) sternly lectures the Tea Partiers that they risk the incitement of some over-the-top nut case who would commit similar violence in 2010 — and that the Tea Party people had better rein in their outrage lest they end up with blood on their hands. In other words, "Shut up, America!" If the Tea Party protests are thus toned down, silenced, or discredited, well — hey, what's a poor ex-president to do? Can he help it if it boosts Democrats in November? Some pundits have served as Clinton's echo chamber for this smear job. One strives mightily to suppress the suspicion that these people indeed are hoping for such violence worthy of handing them a "Reichstag Fire" moment of the kind that Hitler used to whip up popular outrage against critics of the regime, thus consolidating his power in the early years of Nazi rule. After 35 years, Supreme Court Justice John Paul Stevens is calling it quits. It is predictable that President Obama will likely use this opportunity to replace one liberal justice with another who veers leftward. Nonetheless, it is essential that the nominee be closely scrutinized by conservatives on the issue of interpreting the law and the Constitution on the basis of what those documents actually say, rather than on what the would-be justice wishes they would say. Among many said to be under consideration at the White House, sources on Capitol Hill and among the punditry indicate the president is intrigued with Judge Merrick Brian Garland of the United States Court of Appeals for the District of Columbia. Judge Garland — though leaning leftward — is said to lack the damning extreme left-wing "paper trail" that could be troublesome for a few of the other Supreme Court wannabes. Moreover, he is reputed to have the intellect that would enable him to go toe-to-toe with conservative Justice Antonin Gregory Scalia, a Reagan appointee whose own smarts have enhanced his "strict constructionist" influence on the court. Here is how that story is related to Clinton's smear-bucket lecture on Tea Party protestors and the Oklahoma City bombing case: Judge Garland served as Principal Associate Attorney General during the Clinton administration, where his responsibilities included supervision of the Oklahoma City bombing prosecution. If President Obama nominates him, Judge Garland should be asked some significant questions about the case during his Senate confirmation hearings. Jayna Davis — a TV reporter in Oklahoma City during the bombing and the years the case was under investigation — has compiled reams of evidence that McVeigh and Nichols were assisted — indeed likely directed by — a third terrorist named Hussain Al Hussaini, an Iraqi Republican Guardsman in the service of Saddam Hussein in first Gulf War of 1991. Ms. Davis's persistent shoe-leather investigative work on the case would — in a just world — make her a prime candidate for a Pulitzer Prize. Instead, she has been repeatedly stonewalled. From all appearances, such stonewalling emanated from the highest levels of government. For the full story, Davis is the original source. Her 2004 New York Times bestseller The Third Terrorist is out of print in the original hardback. However, you can still obtain it from Amazon in the paperback, kindle book, and audio book versions. As you are awaiting arrival of that original source material, you can consult this writer's offerings on the case in the following links: "Saddam's hanging: Did he take a smoking gun with him?" — RenewAmerica, January 1, 2007; "Saddam's attack on America? Part 2-The cover-up" — RenewAmerica, January 8, 2007; "AIM Report: An Islamic connection to the Oklahoma City bombing" — Accuracy in Media, April 24, 2007. Millions of Americans — perhaps you among them — may recall that right after the Oklahoma City bombing fifteen years ago, every TV report in the nation showed the pictures of a John Doe 1 and John Doe 2 as collaborating suspects in the evil slaughter. You may also recall that John Doe 1 turned out to be Timothy McVeigh, while the picture of John Doe 2 was suddenly and inexplicably yanked, accompanied by some mumbo-jumbo about that picture of a Middle Eastern-looking young man having been a "mistake." Jayna Davis had a sixth sense that impelled her to pursue John Doe 2. In an e-mail to this column, Davis recalls her leads that "illustrated how Iraqi intelligence agents, soldiers who served in Saddam Hussein's army during the 1991 Persian Gulf War, infiltrated the United States in order to recruit and assist Timothy McVeigh and Terry Nichols" in the mass murder at the Murrah building. McVeigh had expressed a desire "to become a mercenary for the Middle East because they paid the most." Beyond that, Davis reminds us, "he harbored a warped sense of empathy for Osama bin Laden, the first World Trade Center bombing mastermind Ramzi Yousef, and Iraqi dictator Saddam Hussein." 1 — What was your role in the Murrah case? 2 — What is your opinion of the existence of John Doe 2? 3 — Are you aware of the Middle Eastern connections to the case? 4 — What is your opinion of the FBI's investigation of the case? And is the case officially "open" or "closed?" 5 — What did you think when you heard that thousands of documents had been withheld from the defense? 6 — Were you aware of the Jayna Davis documents and their disappearance? 7 — Do you think a grand jury should be impaneled to review the Bureau's handling of the case? 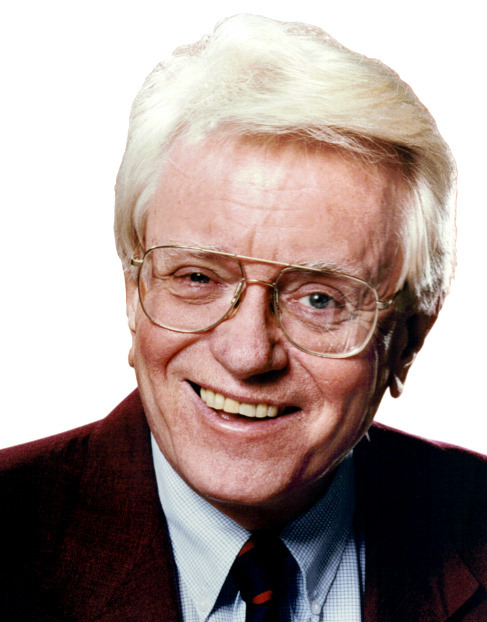 8 — Why has no one been disciplined for the failure to follow federal criminal procedure law? Other questions from Davis are far more detailed. We're saving them for future reference. We may never know the motive for the cover-up. President Clinton did not want to confront a nation that had committed an act of war against the United States? Or he just didn't want to disturb his "Blame it on Rush" narrative? Maybe both? If Judge Garland is nominated for the Supreme Court, ex-President Clinton may get his "Play it again, Sam" political reprise on Oklahoma City. But this time, the script may not play out to his liking.